I found something quite exciting at Whole Foods last week and no, it wasn’t sodium-free macaroni and cheese. 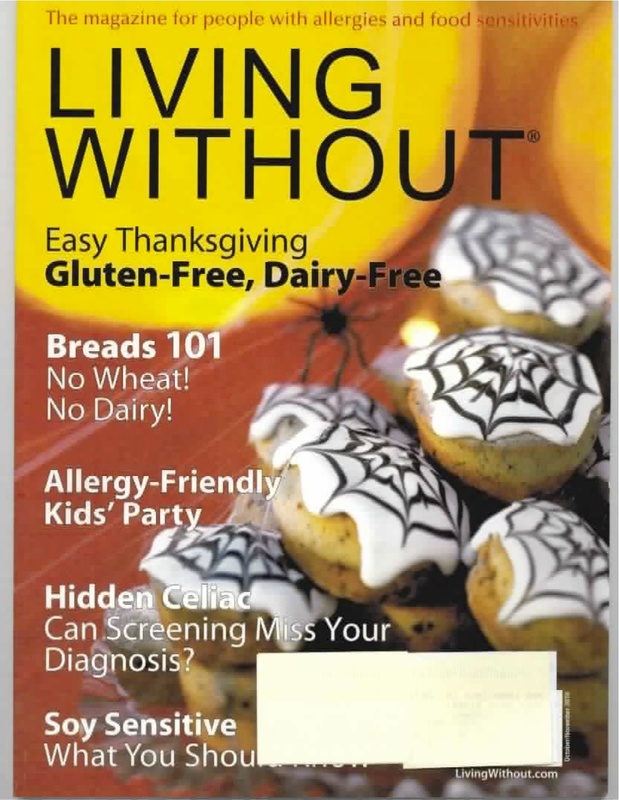 Instead, the surprise (and internal glee) came from the magazine rack – not the grocery store shelf – where I found the latest issue of Living Without Magazine which had…drumroll please…my article inside! The point of this post, though, is not to call attention to my own words (although, I did just do that). But to use this moment of printed satisfaction to call attention to the other wonderful writers and web providers who are also turning “living without” into an exciting, easy, and flavorful experience. Because the truth is, the more you know, the more you can eat. So it is important to devour as much low sodium information as you can. And with that, blogroll please…. And my new favorite, The Daily Dish, a wonderfully colorful blog written by loyal Sodium Girl reader and all-around awesome lady, “Dishy,” who cut the shaker as a result of Meniere’s disease and, like me, has not let the restriction stop her from enjoying food or life – just check out her apple fritters. 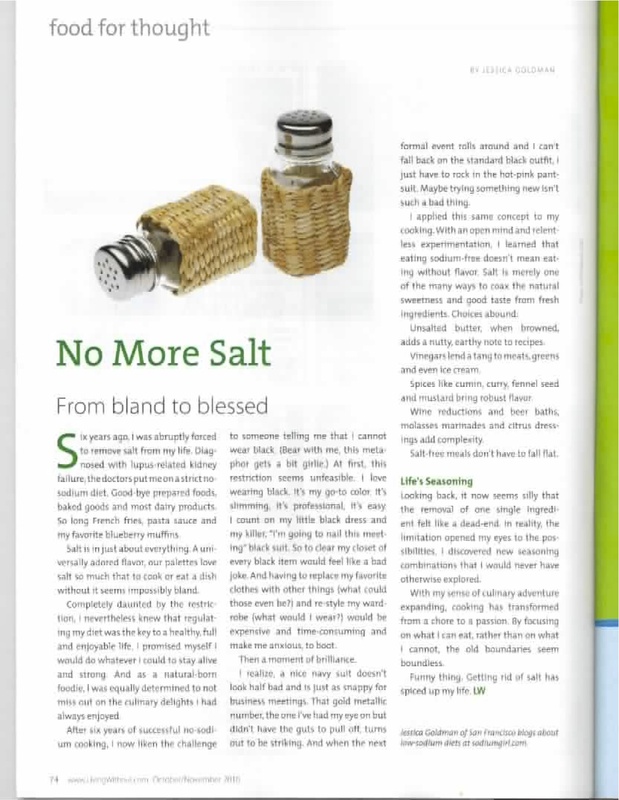 With these low sodium super heroes by your side, there’s nothing you cannot accomplish in the kitchen and beyond – the right products, the right attitudes, and the right recipes – boundaries become boundless. So add them to your favorites and remember to read and chow on. wow! congrats! sodium girl entering the main stream. what’s next a tv show? Oh my GOODNESS! I saw this at Whole Foods this weekend and LOVED your article!! The dress analogy – SPOT ON. So happy for you, SG! You are destined for big things. I am honored to have merited such a big mention on the blog – I blush. Thank you. Too bad I’ve been laid up in bed for a week or I would have responded sooner. Love to toot that horn – hah! PS: Last night’s game? Even those ribs couldn’t save you. So sorry, but GOOOOOO EAGLES!